​With the speed of play in the Premier League reaching crazy new levels, the players who make the move to England's top flight are also getting increasingly quick. 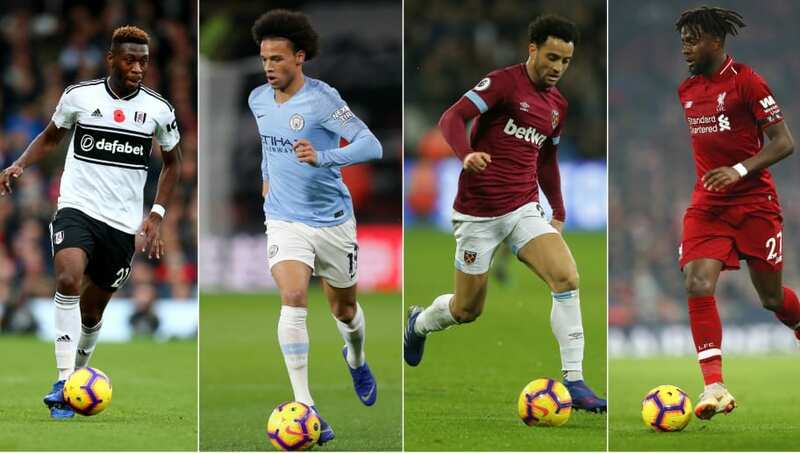 Last season, Leroy Sane topped the list by reaching a stupendous speed of 22.05mph during one game. Whilst the German winger features once again in this year's list, he does not take top spot this time around. Despite elite players such as Eden Hazard and Mo Salah being associated with speed, neither of these two feature on this season's top six speed kings. In fact, the list of names may surprise many. The Belgian has not featured a great deal this season, as he has been used primarily as backup to Liverpool's imperious front three. However, this has not stopped Origi from clocking a ridiculous speed of 21.77mph during this campaign - an attribute that many are unlikely to have associated with his game. Signed from Lazio last summer, Felipe Anderson has been one of West Ham's stand-out performers in the Premier League this year. The Brazilian has a reputation for causing trouble down the Hammers' left-hand side and is a nightmare to defend against. He's always been known for his pace, and has clocked up a rapid 21.82mph this season for Manuel Pellegrini's side. Who said kick and run doesn't work eh? The USMNT full-back is the smallest player on this list, but his quick feet enable him to bomb up and down Newcastle's right flank. Often deployed as a wing-back, Yedlin's pace is a key part of his game as he looks to cause trouble to opposition defences, whilst needing the speed to get back in position when his team don't have the ball. The German has not featured as much this season for ​Manchester City compared to last, which may explain why the winger has only been able to register a measly 21.86mph in the 2018/19 campaign. Joking aside, Sane's pace remains an essential part of the 23 year-old's game and he's demonstrated time and time agains that he can initiate a burst of unbelievable speed whenever he wants. Plenty of time left in the season to reclaim his crown. The Wolves full-back has not featured a huge amount this season, which makes his appearance on this list all the more impressive. The Portuguese left wing-back often plays second fiddle to Jonny Otto, but when he has taken to the field this season, he has been clocked at a whopping 21.87mph this season - second only to our next and final entry. By no means a household name for Fulham fans, let alone other Premier League fans. However, on-loan ​Manchester United defender Timothy Fosu-Mensah tops the list as he has registered a crazy 21.95mph on the speedometer this season - just shy of Sane's record last year. He's featured in just 11 Premier League games this season, meaning he has plenty of pace to burn when he does play. The Cottagers may have fared slightly better this season had they given him more opportunities to play and track back - they have conceded a staggering 76 times this season.